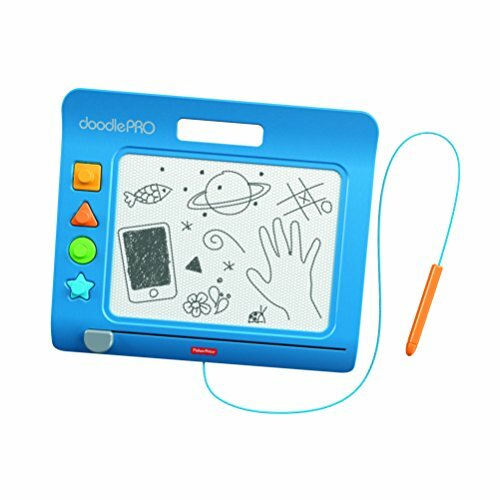 The Doodle Pro Slim offers hours of classic mess-free drawing, doodling and stamping fun in a sleek new design! 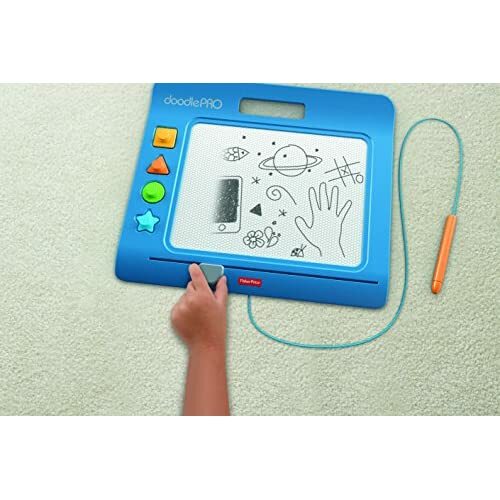 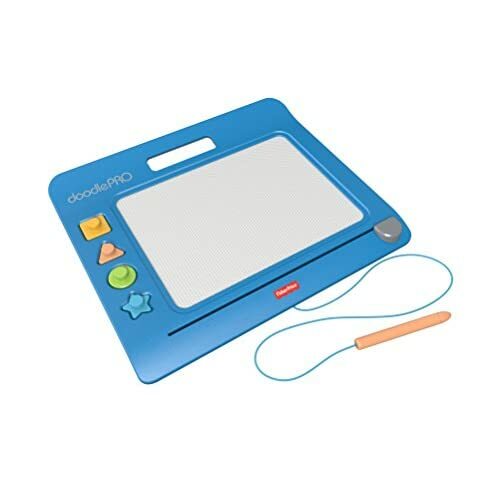 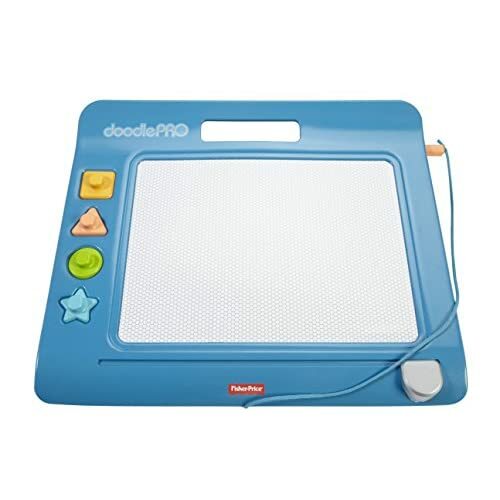 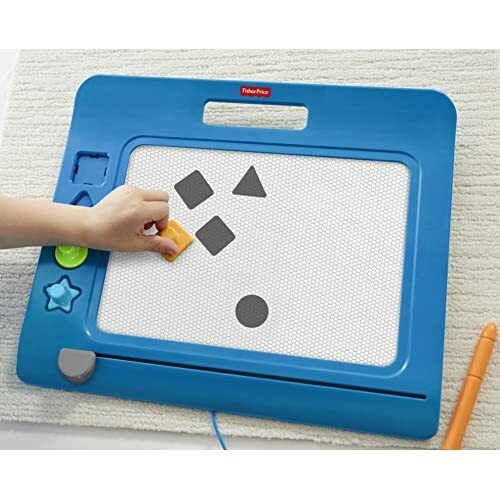 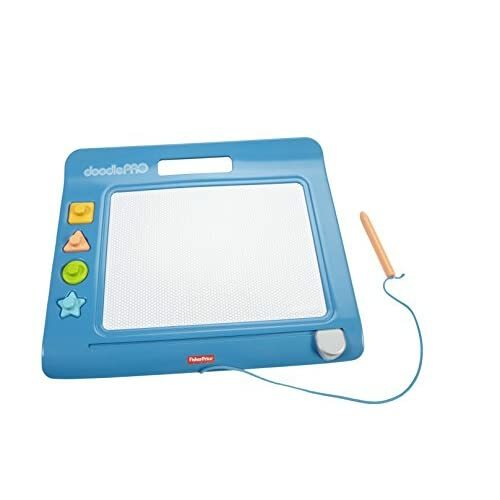 The attached screen saver pen, four easy to use shape stampers and extra-large magnetic drawing screen gives little ones the big confidence they need when drawing and doodling. 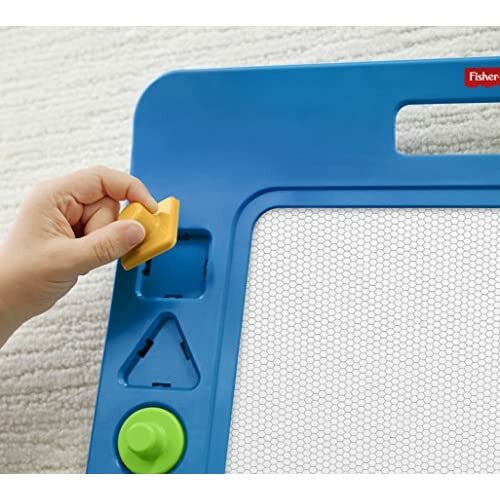 Plus, the easy-slide eraser magically cleans the screen so they can draw up new creations over & over again!